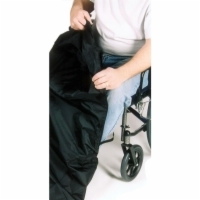 The Regular Power Wheelchair Cover is great for covering small and medium power wheelchairs during transport. It is made of a lightweight, waterproof material that is easy to take on and off. Available in standard or heavy duty material. Roadust from AZ would recommend this to a friend.